This month has been a very productive month here at Virteom. We’ve had 4 websites go live! 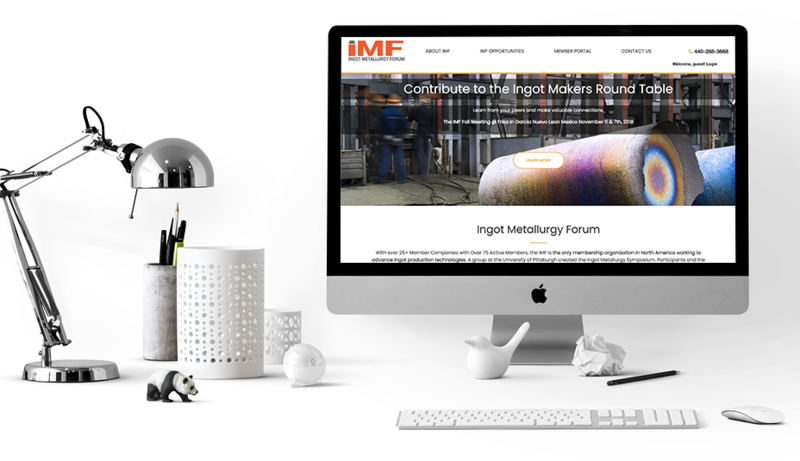 The first of the August website launches was Ingot Metallurgy Forum (IMF) (ingotmetallurgyforum.org) -- IMF is a forum for technical discussions on producing steel and alloy ingots. IMF is headquartered here in Lorain, OH, but its reach is nationwide. IMF came to us in need of routine website maintenance. The developers they were previously working with were not as responsive as they needed. Since the organization has two events each year, they need to keep the website up-to-date with information regarding their meetings. They reached out to Virteom for assistance! Since we are a full-time web development firm, we’re able to respond to inquiries quickly, and keep their members in the loop. In taking on the maintenance of their WordPress website, we found that they would do better working within our custom-built content management system – RocketSites. By moving them over to RocketSites, we were able to provide a fresh new look to their website. Not only did we give the site a fresh new look, we added some much-needed functionality to the organization’s members. Since the organization gives their members access to the relevant documents, presentations, and member directory – they wanted to be able to search through them. We added search functionality to each of these pages so the members can search by Date, Title and even Author – something they were missing on their old site. Having similar problems as IMF? Are your web developers missing? We call those milk-carton developers. Stop wondering if the changes you request will ever be made by starting with Virteom! Virteom has a responsive customer help desk that can help you make the updates when you need.